The man and woman were not present when their case was called. They had been served with summonses and the prosecution had its first listing before Judge Anthony Halpin. However, the man and woman were not present when their case was called. 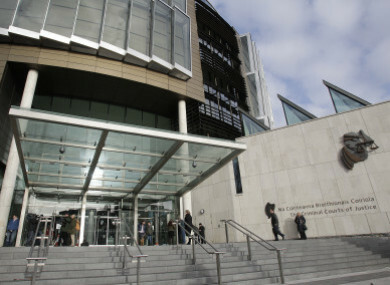 Solicitor Stephanie O’Meara, prosecuting, told Judge Halpin the parents had been personally served with the summonses. She said their daughter had not progressed into secondary school. The child had missed “100 per cent of first year in secondary school”, it was alleged. A parent could be fined up to €1,000 and jailed for a month if convicted of breaking the Education (Welfare) Act for not complying with an official warnings about a child’s school attendance. The notice is a warning that legal action would follow if a child did not attend school regularly. Before doing this, the Child and Family Agency’s educational welfare services must make reasonable efforts to consult with the parents and the child. Under the Act the minimum age for leaving school was raised to 16 years or the completion of three years of post-primary education. Meanwhile, two other truancy related prosecutions against parents were adjourned today by Judge Halpin who noted they needed time to obtain legal representation. Email “Judge orders parents' arrest after girl misses every day of first year in school”. Feedback on “Judge orders parents' arrest after girl misses every day of first year in school”.